Unpacking this beast from its boxes already had me admiring it. The beautiful workmanship already satisfied the sense before it even started playing. I knew I was in for something special here. 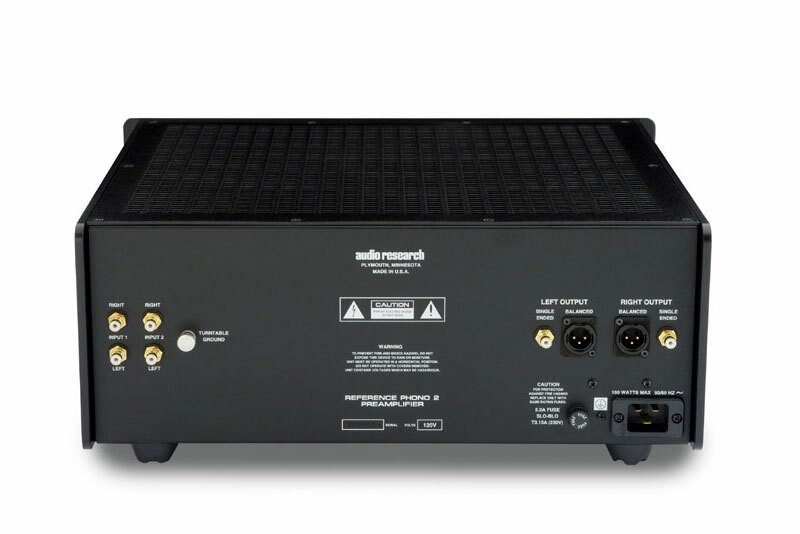 I have waited a long time to test the top of the range Phono from Audio Research....and missed the boat. 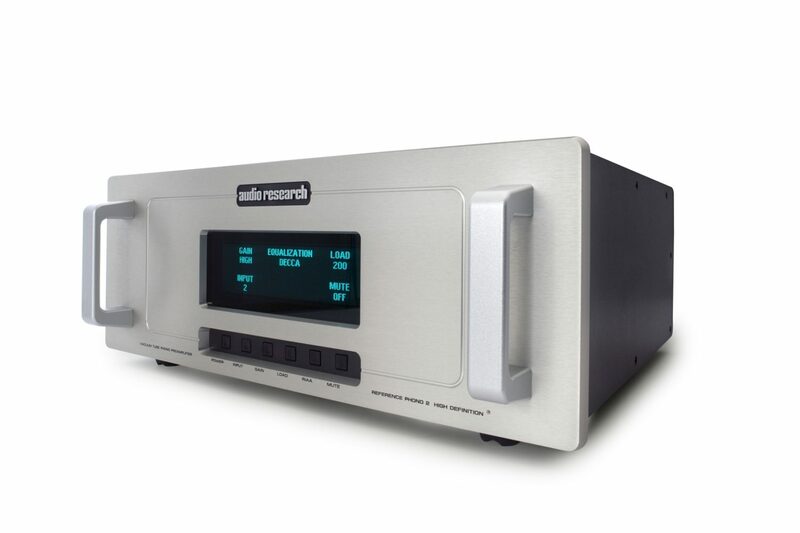 There is now a Reference 3 Phono and Also the Reference 10. But I'll happily play with this SE version, it was highly regarded. I am very familiar with the Reference Phono 1 that I owned for a year or so before a very good friend wrestled it out of my hands and has now been using it for over 8 years! 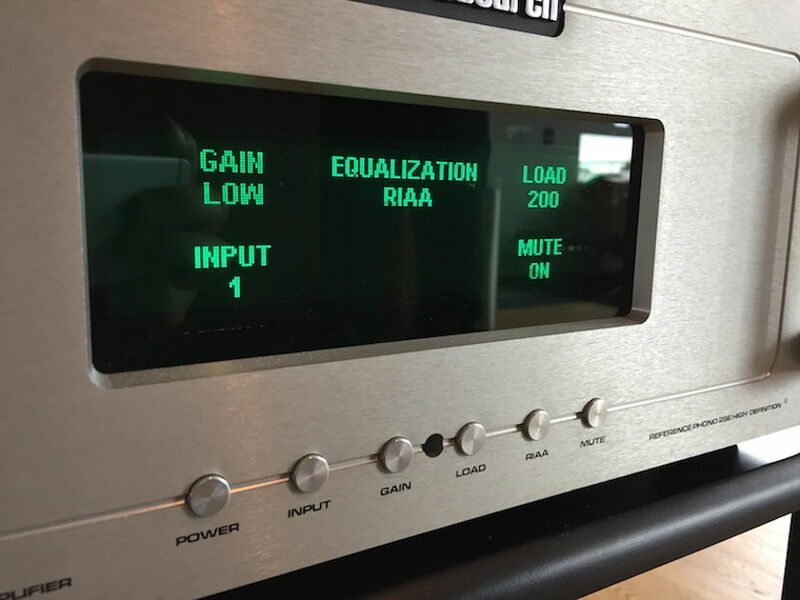 Every time a phono stage arrives at the shop that sounds good, we compared it to the Reference Phono 1. It is STILL a reference product, make NO mistake there. Really showing all newcomers what its all about. Hint: If you can find it ? BUY it. 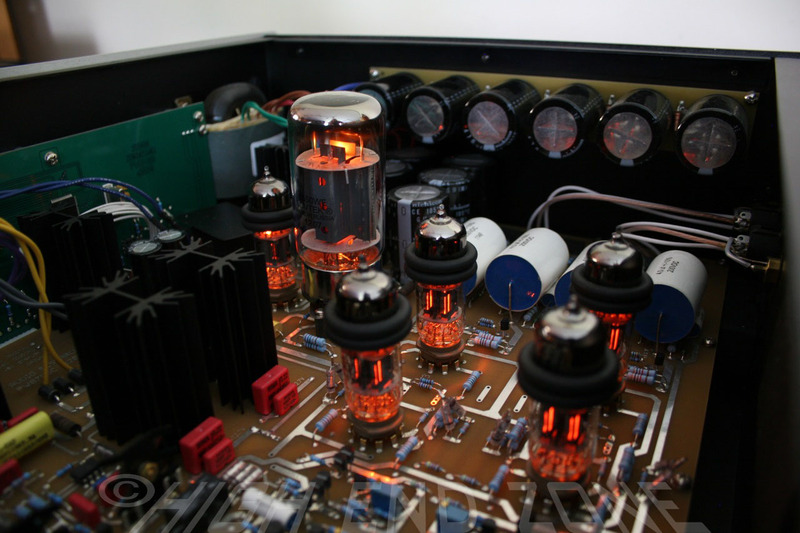 Which brings us to the Reference Phono 2SE. One BIG win already was the balanced and SE outputs. That makes it compatible with any system. Especially the very high end ones that seems to prefer balanced cabling throughout. It takes 2 phono inputs. This is a big plus. And as luck would have it, I had two master class turntables withing reach at the very moment. HEAVEN! I did have a small wish.... If it could take a balanced phono input, it would have been complete. During the testing of the turntables some very high quality tonearm cables were handed to me, all balanced. The menu is fantastic. Just take care on the RIAA. If you select the incorrect curve, things sound just good, but something is amiss. The magic still hiding in there. Set the gain to High or low, match your cartrige and you are ready to go....and be prepared to hold on! The first round was brutal and most fell out immediately. We ended up using the two ARC's, the DM10 and the Valvesound Phono for the second round. It was heartbreaking to see my go-to phonostages fall out in the first round. Make no mistake, there is nothing "wrong" with them. In comparison with the Ref2 they just fell short on 2 or more sonic characteristics of the Ref 2. Be that soundstage and bass, midrange bloom and pace. It was immediately obvious. The MOST amazing aspect was that none had any characteristic that was better or equal to the REF2! The final round ended up with a showdown of Solid-State vs Valve. Quite unexpectedly. This is the REF2's strongest point. It explodes into a Dolby Atmos stage..well it feels like it. It almost envelops the listener. And then it fills the gaps with all the instrument, fine studio sounds, nuances. The DM10 soundstage is smaller. Not much but discernible. Yet it is more quiet. No, its DEAD quiet. Switching the inputs on the DM10 one hear the trade-offs between the two. Quiet vs Electric charge in the air. Both with detail and layers. I used very different cartridges here to make sure the Ref 2 doesnt just "prefer" one above the other. After satisfying my curiosity, I settled on the vdH Colibri. A speedster that is a bit of a detail freak. An neutral. I also played both the SM30 and the Revolve TT, both with Graham Phantom tonearms. The Colibri isnt known for thunderous bass, its not a rumbling V8. Its a 50cal gunshot cartridge. Tight, fast, deep. The better the phonostage and your system, the better it sounds. The Ref 2 even here managed to match the DM10! It was the one area I thought it might have to stand back. I pulled out all the big bass tracks. Jennifer Warnes, Some Daft Punk. It just produced the most marvelous bass. Double bass notes were so palatable. Easily followed. The Ref2 produced such airy notes. I was wondering a few times, if this should be ? I would go the the digital version and smile at its attempt to match the vinyl version. Yes, the notes stated to extend and then just died. The vinyl just kept decaying more. There was no abrupt end to it. Its the only way one can describe the feeling. 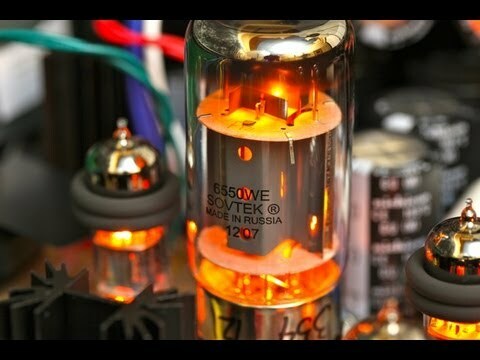 Never once did the finest details disappear in the valve amplification's distortion or noise. This phonostage seems to place the audio "out" there, far from any interference. This is valve amplification after all! Have no fear, there is very little "extra" midrange here. Yes, there is an extension of the midrange. It is not perfectly neutral, and than goodness! Its to the "lovely" side of neutral. Everybody basked in the glory of the voices. It made us listen to the voices, long before we listened to the music. Took me 3 rounds with Louis Armstrong to drag my attention from his voice to the overall presentation. I have been searching for a REFERENCE phonostage ever since I "lost" my Reference 1 to one of my best friends. He listens daily to vinyl, only vinyl and for hours. So he deserved the Ref 1. But that started me on a quest to find something better. As reminder I had the Jeff Rowland Cadence and Hovland HP100. I have tried over 20 high end phonostages and never did one make me sit down in wonder. Very good ones crossed my path but ALL of them held the Colibri and my system back. Except this lovely piece of kit. If you have a very good system, love vinyl then this is the king. Its NOT a bargain. But it might very well last you for next decade or more. Or even be the last phonostage you will ever buy. If you can pick one up 2nd hand, then dont hesitate, not a moment. Yes, there is the Reference 3. The is a Boulder lurking out there. The press says they are better. I believe them. But matching my notes with all the reviews in the press, I think this will be my reference for a very very long time. Will I buy one. The moment I can afford this, I will take this path to nirvana.